Turns out that iPhone can’t act as a Bluetooth A2DP “sink” (it supports only “source”) which is required for receiving audio from one of these Bluetooth audio transmitters. They can’t be used to transmit 3.5mm shotgun, lavalier or XLR microphone output to an iPhone. 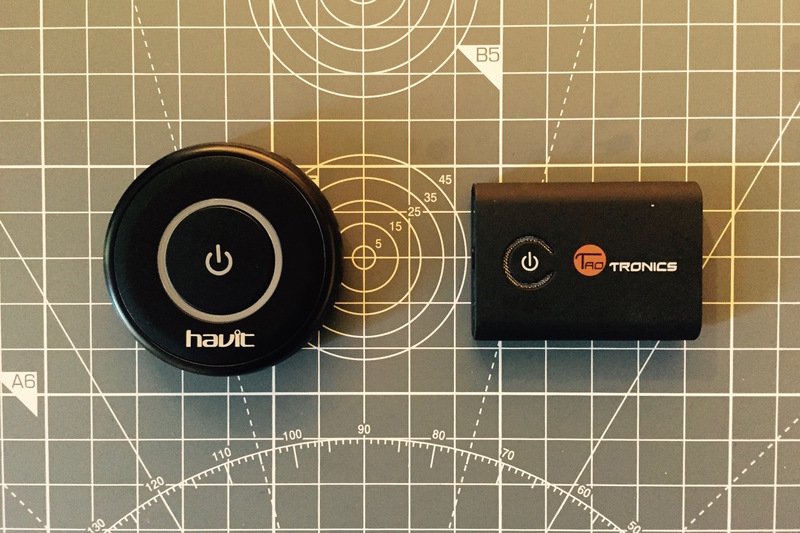 I ordered both HAVIT and TaoTronics (both use the CSR8670 chip) and found out that iPhone wasn’t discovering them when switched in the TX or the transmit mode. 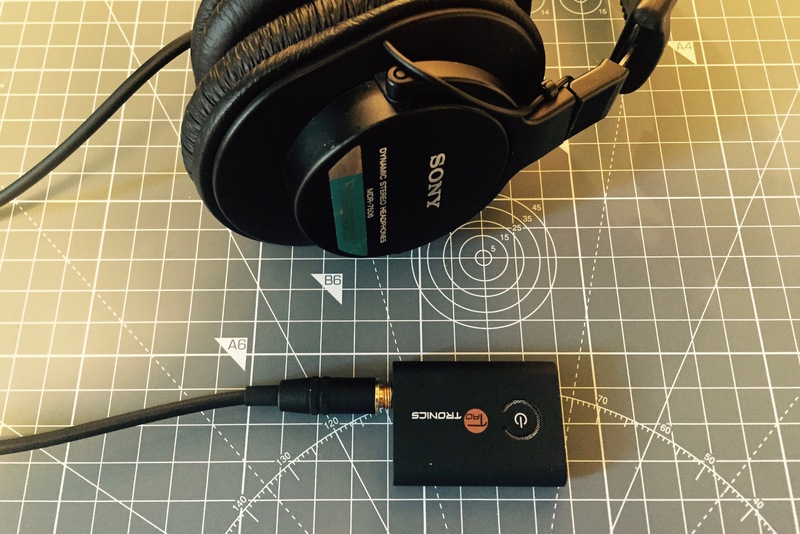 They work fine as audio receivers and will turn any headphones with a 3.5mm input jack (including the original iPhone EarPods) into amazing wireless headphones (shown here with Sony MDR-7508). An audio path created for two way communication (such as phone calls or FaceTime) always uses the HFP (eSCO) route for sending audio data. Music and similar content uses the A2DP route. In the absence of a defined route, audio playback will default to the iOS device. So I would assume that AirPods use the HFP profile with Extended SCO (eSCO) which allows devices to negotiate the maximum bandwidth for uplink and downlink up to 288 kbps instead of 64 kbps. 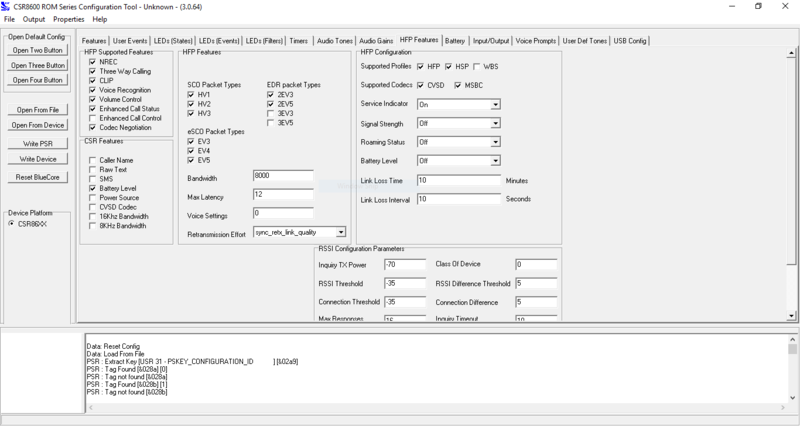 I’m currently waiting for the CSR SPI programmer to see if the CSR8670 chips can be configured to use the HFP profile. Is iPhone 3G "S" Slow or Small?